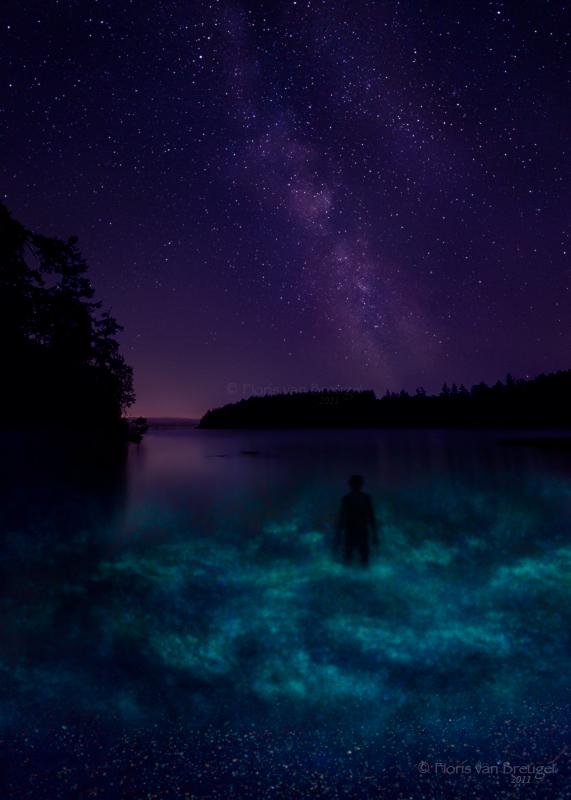 Swirls of bioluminescent dinoflagellates, called Noctiluca scintillans, sparkle under the night sky in a quiet cove on Shaw Island, part of Washington's San Juan Islands. The tiny little protists illuminate when disturbed, which is believed to be a predatory defense mechanism. For more details on the image see my related blog post.